Questions are spinning about the murder of a 21-year-old woman in Virginia, and family members say someone was possibly stalking her. 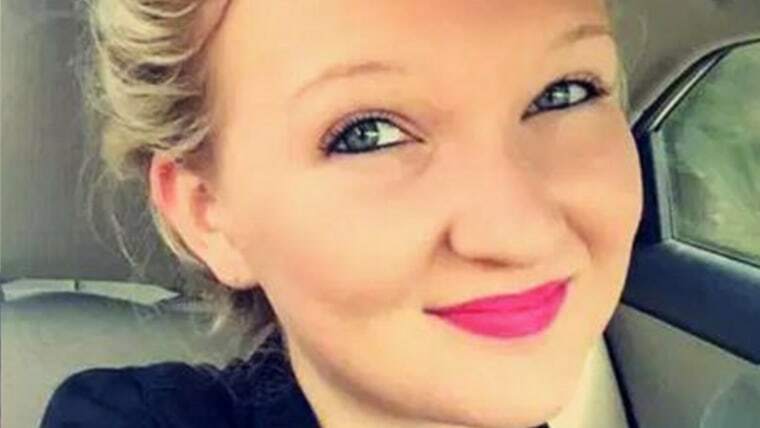 Heather Ciccone was discovered slumped over in the driver's seat of her vehicle around 11:00 p.m. Sunday in the driveway of a home in Spotsylvania County, Virginia. Authorities say she suffered severe trauma to her upper body and had been shot. She had left her family's residence earlier in the evening, telling her mother she was going to pick up a friend whose car had broken down. Ciccone's death has been ruled a homicide and authorities are in possession of Ciccone's cellphone, which they say has given them several other leads to follow. Officials do not believe the murder was random. "We believe Heather was targeted, but we can't say much more than that at this time," Captain Jeff Pearce of the Spotsylvania County Sheriff's Office, told Dateline Friday morning. "We still have a team that's doing nothing but checking into her personal life." Rumors are circulating in her small Virginia town, about 60 miles from Washington D.C., about someone who had may have been following and harassing Heather recently, and some have said she had received death threats. "I know that this girl had been threatening and stalking. I wasn’t here but my husband and other daughter were here and I’m told she’s driven by a few times, but I can’t confirm that with my own eyes. I haven’t seen it but my family members have," Stacy told Dateline. Recent posts on Heather's Facebook page indicate she felt someone was indeed bothering her. Police have not confirmed if there is any connection between the harassment rumors and Heather's homicide. Captain Pearce says officials have identified the woman possibly referenced in Ciccone's postings and she was allegedly also dating a man Ciccone was seeing. "She has been questioned but is not considered a suspect or person of interest at this time," Pearce told Dateline. "But we are not ruling anyone fully in or out at this point." For now, Heather's family is holding close the wonderful memories they have. Her mother says the bubbly blonde, whom friends and family affectionately called Boo Boo, will be remembered for all the love she brought into this world. “Every night before bed, I would tell her, ‘Dream of the angels,’ and if she wasn’t home, I would text it to her. One day I didn’t feel like typing it all out so I put, ‘I love you DOTA,’ and she goes, ‘I love you MOTA.’" Stacy says she didn't realize what MOTA meant at first. Anyone with information about the case is asked to call Spotsylvania County Sheriff's Office at (540) 582-5822 or 1 (800) 928-5822.